‘A Pla-sticky situation’: legislation under review after growing concerns of plastic bag proliferation in the ACT. 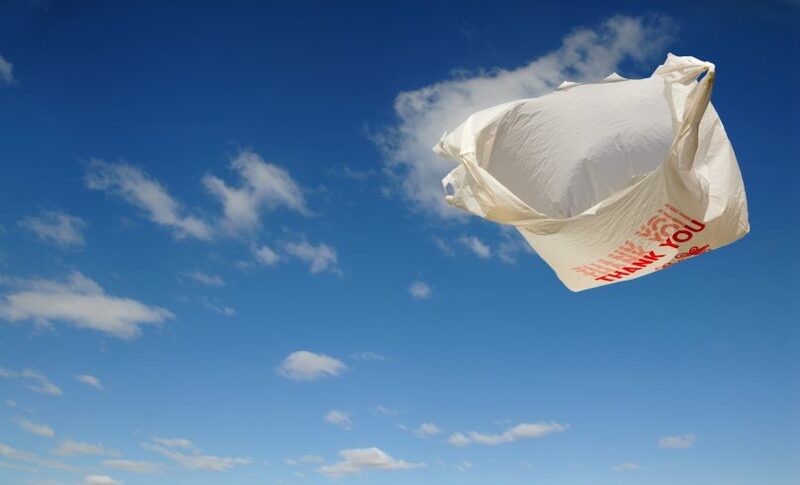 Simply increasing the minimum allowable thickness of plastic bags would not be a worthwhile result of a review of plastic bags legislation, according to the ACT Conservation Council. Concerns at the continuing proliferation of plastic bags in the ACT has prompted the Minister for Climate Change and Sustainability, Shane Rattenbury, to direct the ACT Commissioner for Sustainability and the Environment, Kate Auty, to review the 2010 legislation that banned lightweight plastic bags of less than 35 microns thick. He wants the Commissioner to consider options that include increasing the minimum thickness of bags and requiring the use of biodegradable, compostable bags. ACT Conservation Council Executive Director Larry O’Loughlin said the review was welcome but it might not be of much use if the review just finds that the thickness of plastic bags should be changed. “We actually need to look at genuine change, that people remember to take receptacles with them,” he said. Mr O’Loughlin said an outright ban might be the way to go but it would be good if we had an Australia-wide approach. “It’s a matter really of what people need to understand to do and that they are better prepared and have more options of genuine reusable bags so when they come to the end of the life cycle they’re useful for something else and they’re not causing damage to the environment,” he said. While plastic bags were only a small part of the overall waste problem, it was important they were dealt with because they did gradually work their way into the waterways, then into the ocean and marine environment, he said. Mr Rattenbury said in his letter to Professor Auty that plastic bag manufacturers had been quick to ensure they were able to offer bags that were just over the 35-micron minimum limit to retailers. “As a consequence, I understand that many retailers and customers have not changed their behaviour around the use of plastic bags, and perversely may instead be using thicker plastic bags for single uses,” he said. Professor Auty will investigate whether the legislation is effective and recommend any improvements that could benefit the environment. Mr Rattenbury said he was worried about how much retailers were using slightly thicker bags and one option would be to increase the thickness to 75 microns, which Queensland was considering. He also was interested to know what new technologies were available. Mr O’Loughlin said there were alternatives and people do use the canvas, jute or reusable ‘green’ bags available from supermarkets. He said about replacing plastic with thicker plastic: “you might get an extra 50 lives out of a thick bag but you’re still going to end up with something in the ocean”. There also could be better recycling options, as dedicated bins at shopping centres were hard to find. “It would be good if all the people who give away the plastic bags would take them back to be recycled not just dumped into landfill here,” he said. Professor Auty is expected to hand down her report by June. What are your thoughts on this issue? Is increasing the thickness of the plastic the answer to curbing plastic shopping bag numbers? Let us know by commenting below. Cloth bags are probably the better way to go? Banning ALL plastic is unachievable and undesirable. going back to paper bags means destruction of more forests. A quandry. Ban them outright. Short term pain for long term gain! Some stores like Healthy Life in Canberra Centre & Belconnen have banned plastic bags completely. They offer calico bags for $2 and no plastic at all. It’s not a perfect solution but it’s an encouraging start for a national company to take this stance. Hopefully other retailers will follow the lead! No one will want to pay $2 every time they walk into a shop for a bag so it will force everyone to think about it more and bring their own instead? Bags are a profitable industry for Coles and Woolies. They don't even bother to sell the material ones you can keep in your handbag anymore. I don't bother with them. Just shop at Aldi and use their free boxes then recycle them. Their quality prices and efficiency at checkouts is far better anyway. Let me take a wild guess and state that I’m sure one of the findings of the review won’t be that the whole thing is a waste of time and should be abandoned. Laynie Williams I have never bought a plastic shopping bag, because I take my own. It's really easy...you should try it. Plastic bags have never been free; we have paid for them in the shopping cost. Even those that don't use them have paid for those that do. I'm sure you are a big girl/boy and can buy your own groceries and bags (not subsidised by those who don’t use them.) The environment will thank you too. Biodegradable bags are probably not the answer. Crochet market bags. Stronger and last. Be proud to take your shopping bags with you. I agree that something needs to happen - the idea was good but I have always struggled with the concept of replacing bags with something that is thicker. Sure they are recyclable but the act of recycling requires conscious doing so by the consumer. I have seen them used as garbage bags that go into landfill and at the registers these days if people don't have bags they just buy a couple of extra. The supermarkets win out this way also, because they aren't free. We managed without them in the past. Just get rid of them altogether. Let the wowsers and nature haters winge as much as they like about having to cope with cloth bags. Get rid of them all together. Make the only option a reusable bag only! Maybe politicians that aren’t so thick? Useless Greens. Wish I could find compostable bags readily! I only find them at ANU co op. Not exactly convenient. Just remember to take your fabric bags. Sometimes I forget so I just load it back in the trolley then into the car. When I get home I can put it in my bags to carry inside if needed. I'm happy to do that too but most people too much of an inconvenience! I ride my pushbike to the shops and back each day, and groceries often rupture and leak on the journey home. Fruit, yoghurt, honey, even a tub of stuffed olives has burst open in transit. If it weren’t for plastic bags, the pannier on my bike would be one sticky, oily mess by now. It annoys me that the new bags offered at supermarkets are too thick to tie knots in. I often have to carry a roll of garbage bags with me when I shop. I hope your are reusing the plastic bags many times over and not taking new ones each time. Plastic bags can be washed out. I wash them, but this isn't necessary every time they are used. The plastic bags I use these days are mostly Canberra Times wrappers, so no need at all to take supermarket bags or buy them. I have brought my shopping home many times by bike, but fortunately have never had a (major) mishap. If it's something messy though I would use one of my reused & reusable plastic bags. Otherwise a cloth bag, or loose in the panniers does. 100% we should do something different to just increasing the thickness. Get rid of them completely unless they are biodegradable.